Massage is the age-old therapy of body relaxation. Just as everything in our world is connected, massage puts us in touch with our personal harmony through experience with a healing practice. Kristy Marie is trained in a myriad of traditions and techniques which makes massage sessions personalized and powerful. Scroll down to read more about each. And don't worry, no need to choose a style -- I can determine which methods will be effective for your next session. Myofascial Release is a highly effective and safe technique that involves applying sustained gentle pressure into the connective tissue fibers called fascia. Fascia is a web that holds the whole body together, wrapping around every muscle, blood vessel, organ, vein, bone, nerve, even each single cell in the body. This connective tissue is a very strong and sticky substance that benefits from hydration, much like a car does oil. When restrictions are created through chronic dehydration, trauma, inflammatory responses, and/or surgical procedures (scar tissue), Myofascial Release can be administered to eliminate pain and restore full motion. Each Myofascial Release Therapy session is performed directly on the skin without oils or creams. This enables the therapist to find restrictions and apply the appropriate amount of pressure. Therapy sessions are hands-on treatments during which Kristy uses a multitude of Myofascial Release techniques and movement therapy. Each client is seen as unique and the therapy is tailored to their bodily needs. Kristy promotes independence for her clients through education in body mechanics and movement, self treatment instruction, enhancement of strength, improved flexibility, and postural and movement awareness. She has taken Myofascial 1, 2, unwinding, fascial pelvis, cervical thoracic and a week long skill enhancement seminar where she shadowed John Barnes (a founder of Myofascial Release) in his Pennsylvania treatment center for chronic intensive patients. For more information on myofascial unwinding, please visit this link. Neuromuscular Therapy works with the attachments and insertions of the muscles in a very strategic way to release the blockage of muscle blood flow. Pressure to the trigger points helps to release restricted tissue and increase circulation. NMT is often used for aid in injuries and chronic conditions. Through the softening of trigger points, NMT aims to reduce chronic pain, increase range of motion, and correct postural distortions. Cranial Sacral Therapy involves the gentle release of the soft tissue structures that surround the brain and attach to the sacrum. The therapist places their hands gently on the body of the client and "listens" to the body and the restrictions that lie within. Clients often have a sense of deep, long lasting relaxation during and after CST, as well some relief from symptoms such as: headaches, including migraines, sinus conditions, asthma, chronic fatigue, fibromyalgia and other connective tissue disorders, emotional difficulties and/or trauma, post-surgical dysfunction, and more. Lomi Lomi is a traditional Hawaiian massage, and a highly fluid form of bodywork. Kristy Marie has been trained in both levels 1 & 2 of this tradition. A gentle pressure of smooth soothing strokes throughout the muscle system is used. Lomi Lomi is uniquely administered through the palms, forearms, knuckles, elbows, and stones. Historically, the practice of Lomi Lomi varied from family to family, and it was commonly referred to as “praying” work. The early Polynesian settlers brought their own form of massage to the South Pacific Islands of Hawaii and it evolved to become something uniquely Hawaiian. From child to chief, it was practiced by everyone. Reflexology is an alternative medicine involving applied pressure to the feet, hands, and ears with thumb, finger, and hand techniques. It is based on a system of zones and reflex areas which reflect an image of the body on the feet and hands. It is believed that all systems of the body have points that will help aid in healthy energy flow to these systems when released, creating a more vital and healthy homeostasis. Evidence of this method of pain relief dates back to 2330BC in Egypt. The application of hot stones helps to quicken the process of opening the deeper tissues. Heat softens the soft tissue and raises relaxation to a different level of comfort. Kristy Marie has spent time along the shores of lake Superior finding the perfect water worn stones to use in this technique. Hot Stone Massage Therapy promotes circulation, increases the natural detoxification process, reduces chronic tension, and decreases muscle spasms. The Shiatsu Method is a holistic healing art developed in Japan and based on traditional 3500 year old oriental medical wisdom. The theory of traditional Chinese medicine proposes that energy, otherwise known as chi (or qi), moves through the body in pathways known as meridians. Each meridian is connected to an internal organ and carries the energy of that organ's functioning. Good health is reliant upon the harmonious flow of chi through the meridians and internal organs. 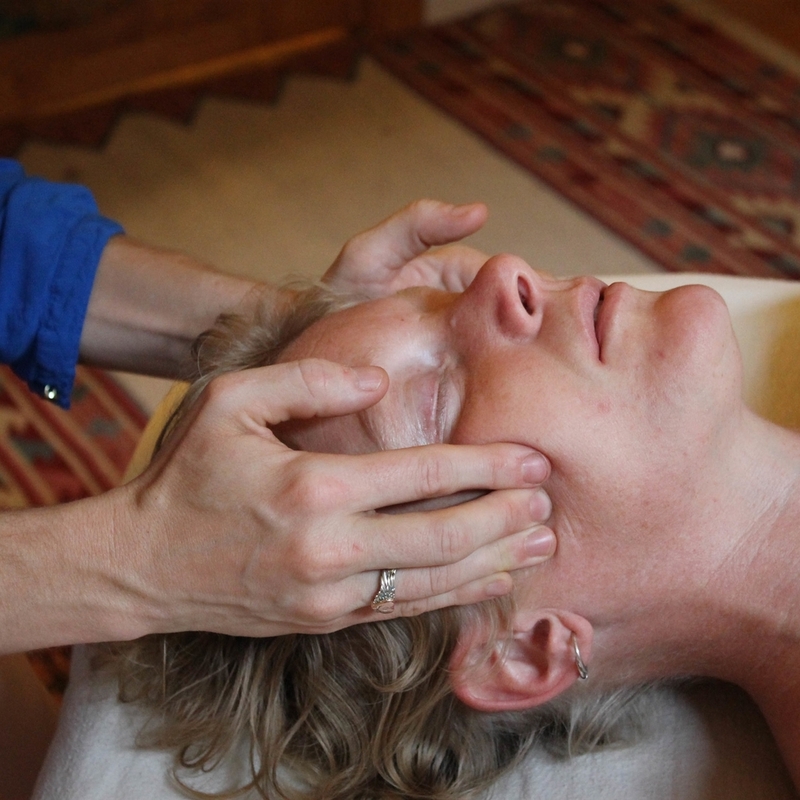 This method is an interaction between the practitioner and the receiver to restore balance. Like most natural therapies, Shiatsu is based on the assumption that the body is a self-healing organism, and that the role of the practitioner is to aid and support that naturally occurring process.